Easily the longest LP4 Project from inception to release. The album took so long that a double low-fi concept album (Ashes in the Bong of God) was released in the interim. C6H8O6 is probably the bandÕs best work, combining all the elements of previous albums with the kind of careful studio production that seems to have eluded previous albums. Switzer – This song is a graft between two riffs – the first by Charlie and the latter by Clinton. The lyrics are about our good friend Mike Switzer who has played with Charlie in The Defenestration Unit and the Last Bastions, among other bands, and his smoke-filled adventures with Charlie. Originally titled “Bongfire”, to this day the band still uses this title in its set-lists. Almaron – Seminal Mike Gunn Album from the 90’s. Historical note – Ramon engineered many of the basic tracks on Almaron. Mary Jane’s – A club on Washington Ave. formerly run by Houston’s all around cool musician Toby Blunt. Currently goes by the name Fat Cats. Know Your Linus Solos: Solo by Clinton. Cole Porter – This song was originally released as a 6-track version in The 26th Commandment – Thou Shalt Expand Thy Mind -a free CD given out with Ptolemaic Terrascope #26. This version is a full proper studio version. The lyrics are about a number of topics, each more mysterious and meaningful than the last, like a mystery wrapped up in an enigma wrapped up in chocolate. Technically the title is Cole Porter II but we inadvertently left off the II. Cole Porter I appears as a bonus track on Killing you with Rock. Brain – This is a Clinton Heider penned song. No e-bows were hurt in the production of this song. Mix 3 parts bourbon, 1 part “Myth of Sisyphus” by Camus, 2 parts HP Lovecraft (your choice of extradimensional madness or subterranean horror, or both), shake well and pour in a Rickenbacker 360. Thorn – A frustrated love song written by Mike Switzer (see “Switzer”). This was originally written for a band called Horshack in which both Charlie and Mike played, about a girl whom both Charlie and Mike dated. She was a frustrating one. Shawn Kelly – who plays the singing saw – also doubles as Carol Kelly’s husband. John Cramer – who plays the spotlighted dual-tracked guitar solo – was a member of the seminal Mike Gunn and recently played in Project Grimm. Know Your Linus Solos : Solo by by John Cramer. originally supposed too be a duet between John and Clinton. It didn’t quite work out so Ramon and John came in to try again. Two single takes of John playing lead and Ramon playing a rhythm lead replaced the previous duet and the result was pure histrionic rock guitar. Just the way we like it! La Tapatia – This was a song primarily penned by Clinton and Charlie who had to get their rock out. Ramon originally hated it but eventually ended up singing after a demonic possession that occurred after an Alistair Crowley modeled ceremony. La Tapatia – a local Tex-Mex eatery renowned for its good food and low prices. Factoid: The ending was actually inspired by the classic Otis Redding style “in the mornin’/ In the evenin'” crescendo despite the fact that it sounds nothing like Otis. Know Your Linus Solos : Solo by Clinton. Live this is usually performed with Ramon doing a mock Robert Plant/Jimmy Page Vocal/Guitar Duet. Airplane – Written by Clinton Heider, this is the most elusive LP4 song ever written. This song has a feel which is difficult to capture, and the band constantly slipped from periods of playing it like they wanted and points where it just fell flat. This version is simply the best we were able to put together. Not a complete failure yet not a full success either. The lyrics are from a dream of Clinton’s where planes were simply falling out of the sky, in a very matter-of-fact manner. Note this song previously appeared as a live bonus track on the US release of Ashes in the Bong of God and was meant to be released with Killing you with Rock but was held back because the version recorded was not up to snuff. Know Your Linus Solos : Guitar Solo by Ramon. Performed by running a hundred watt marshall at full blast. Saxophone solo by Charlie. Drunkest Man – This is a Charlie Horshack song. The opening jig is a little ditty that Clinton and Ramon came up with back in the Francisco Studio days. The song is at least partially inspired by several local characters and their drunken antics and alcohol-related tomfoolery. Know Your Linus Solos : Opening Guitar Solo by Clinton. Main Guitar Solos First one is by Clinton and the second is by Charlie. Cannonball – This one came together bit by bit, but coalesced nicely into what is rapidly becoming a Linus mainstay: the obligatory Linus garage rock song. Always the shortest and fastest song on whatever Linus album it resides on, the obligatory Linus garage rock song is the ultimate in shaving satisfaction. Notes: Live crowd is from Frampton Comes Alive and the added audience members consist of our good friends Stevie Sims, Arnette Vaugn, and Terry Fuller. Factoid: Live, this song has evolved into a better bluesy ending that devolves into the Linus Theme. Sadly, that mutation occurred after the album came out. Hall of Mirrors – A Kraftwerk song that appeared in a significantly different version, as a live bonus track on the European double LP version of Ashes in the Bong of God, and used to lead conveniently into “Bring Me the Head of Donkey Kong”, a rarely heard Linus paean to totalitarianism at the arcade. Know Your Linus Solos: Charlie takes the first solo after the last verse – approximately 5 minutes into the song. It is immediately followed by a heavy dual guitar solo by Ramon from 5:45 to a bit past 7 minutes where it segues into Clinton’s solo which lasts the duration of the track. * The uncredited band equipment photo was taken by Carol Kelly. 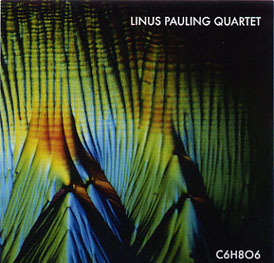 As Linus is infamous for not fully reading each other’s e-mails it wasn’t too much a of surprise when it was realized that Carol had OK’d the liner notes without realizing that she hadn’t been credited. * Original working title was “Louder than Bongs” but was rejected because Larry thought the whole Bong joke thing had played itself out.